Pneumonia is a term used for the lung infection caused by a variety of germs like bacteria or virus leading to the inflammation in the airspaces in lungs. Pneumonia can affect one or both of the lungs. Person with pneumonia may have a cough, run a fever and face difficulty breathing. In mild cases, it clears in up to 2 to 3 weeks, without need for hospitalization. However, elderly people, babies and people with other health problems such as asthma, heart disease and diabetes can become very ill. It is advised to seek medical attention immediately for these people in high risk group. 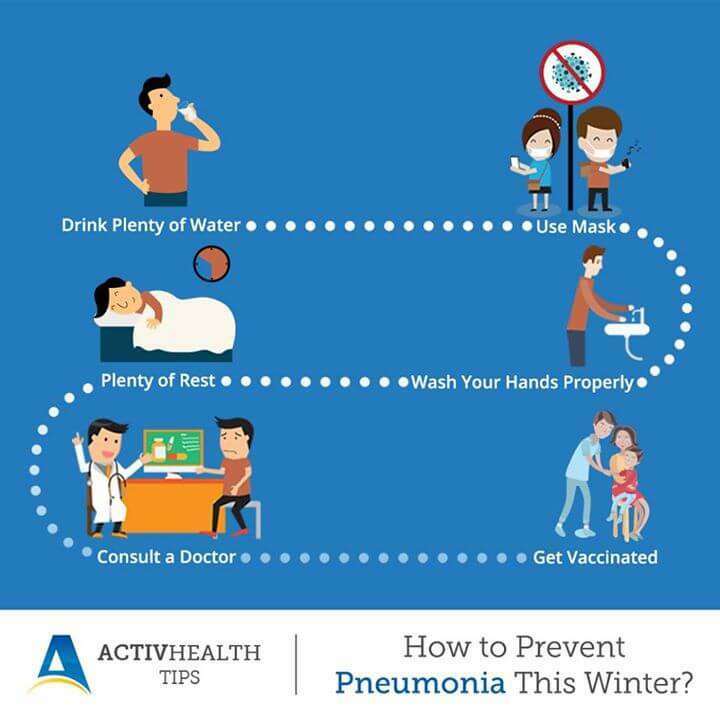 With the adoption of a healthy lifestyle and proper care, the risks related to pneumonia can be minimized. In case of viral pneumonia, recovering happens on its own over time. However, in severe cases, medical attention with antiviral medicines is required. In cases of bacterial pneumonia, generally oral antibiotics may be prescribed.